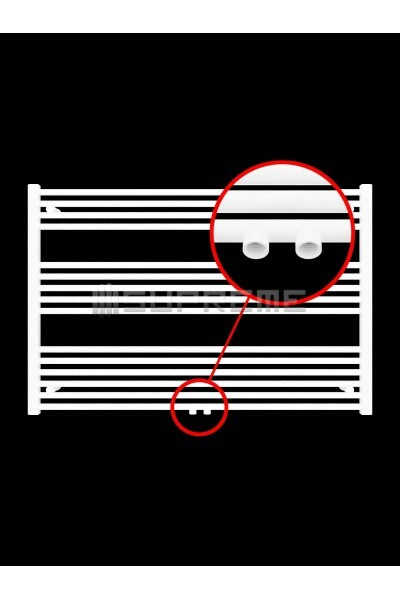 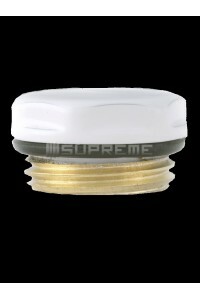 This product has four connection points at the bottom. 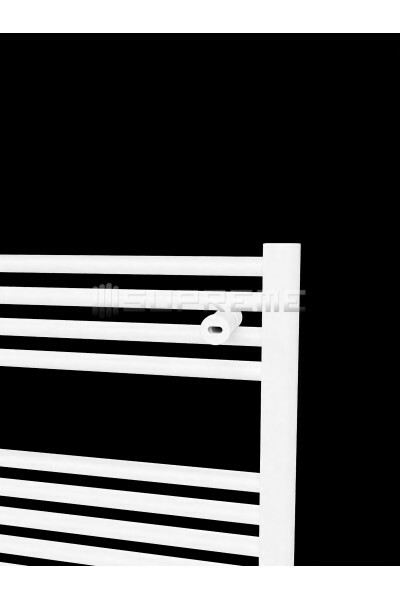 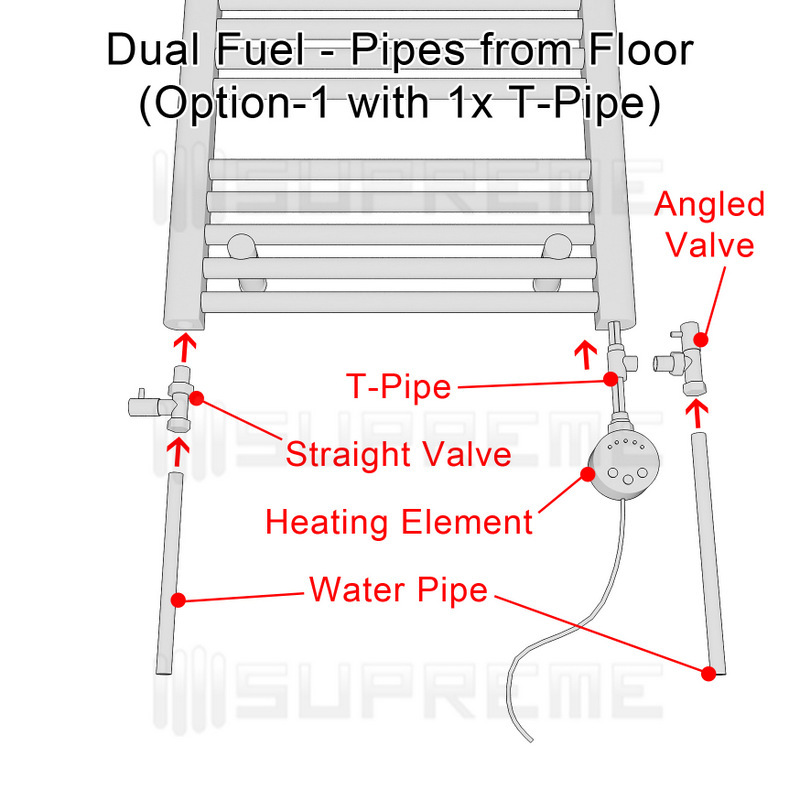 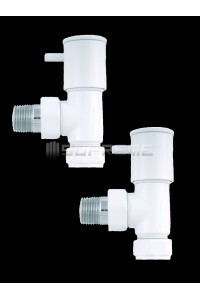 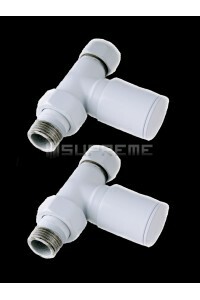 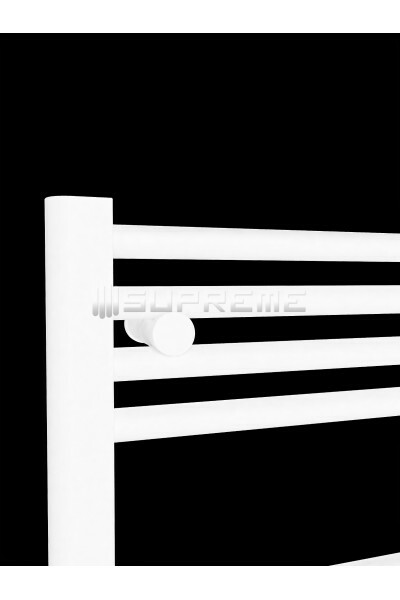 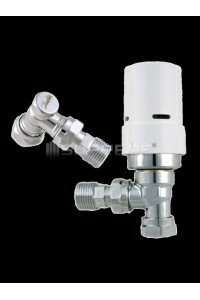 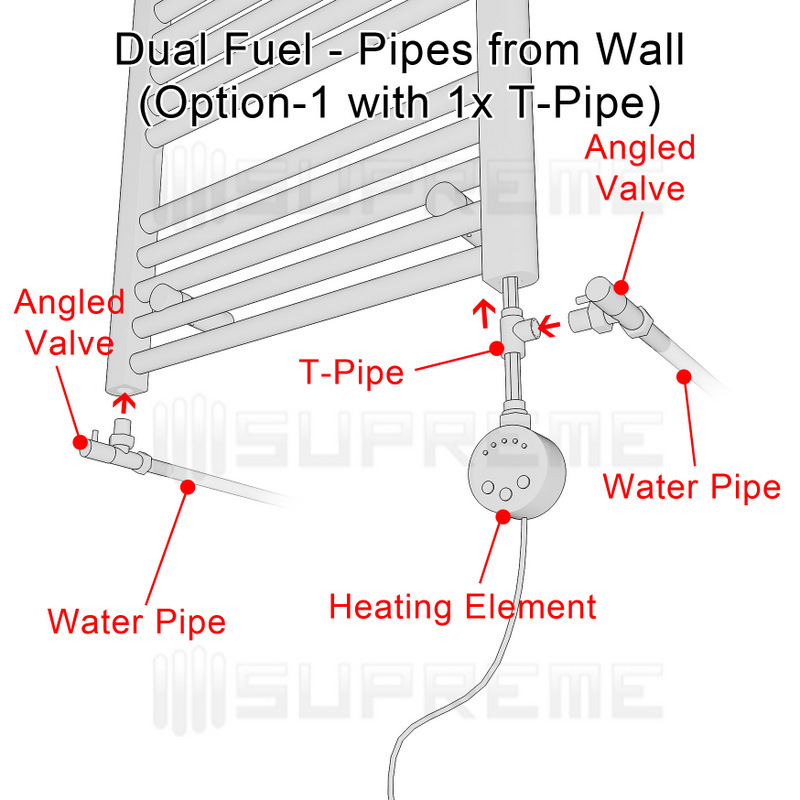 Therefore, you do not need a T-pipe. 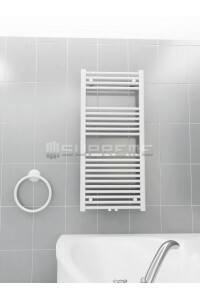 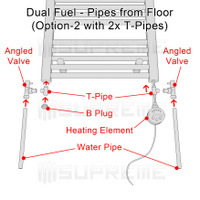 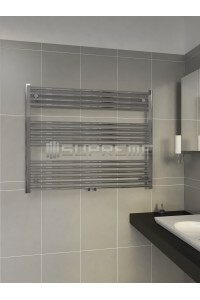 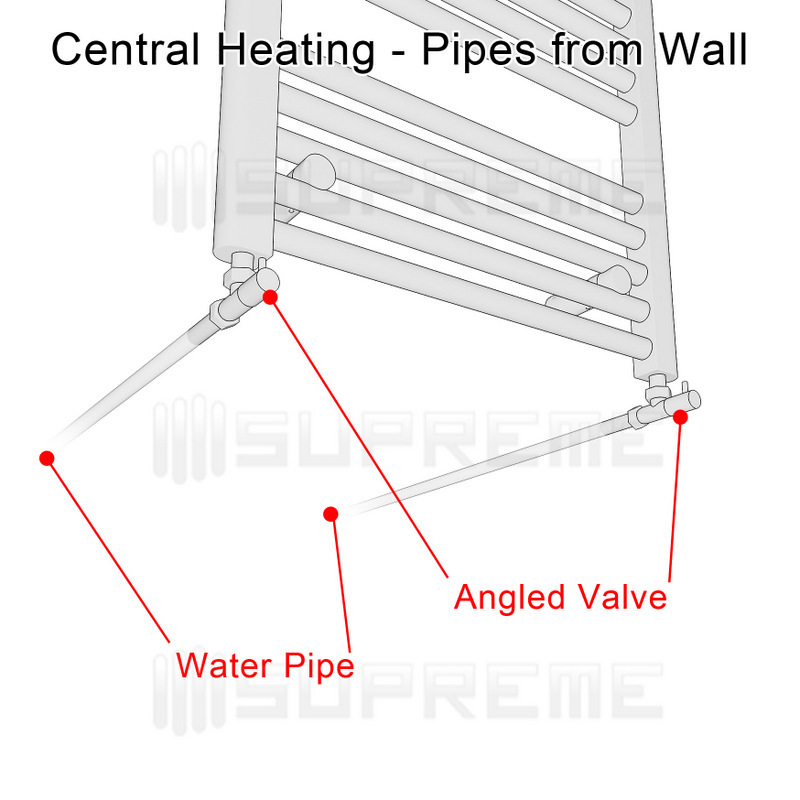 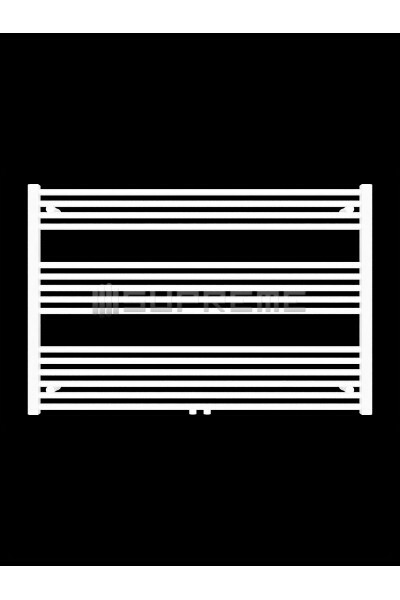 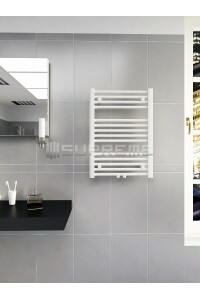 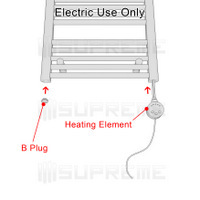 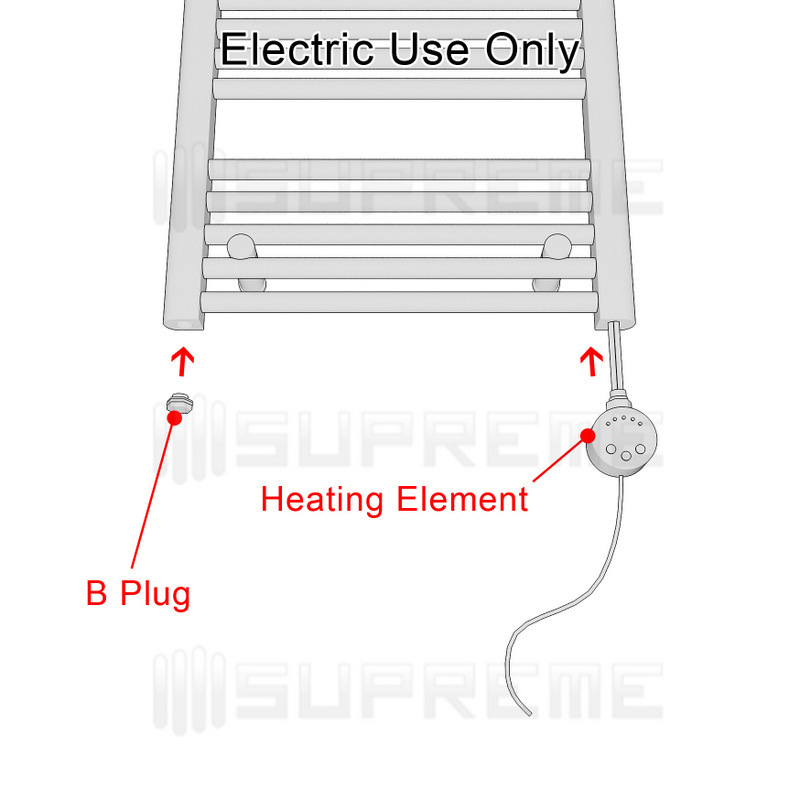 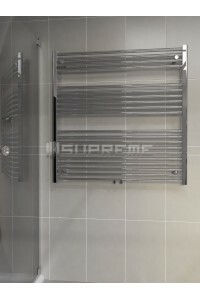 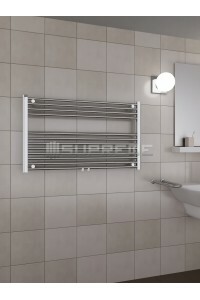 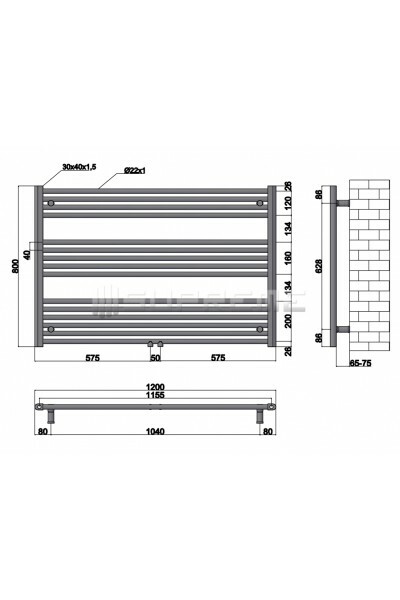 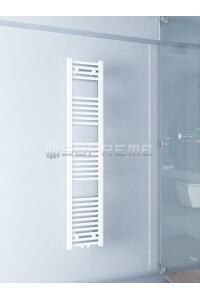 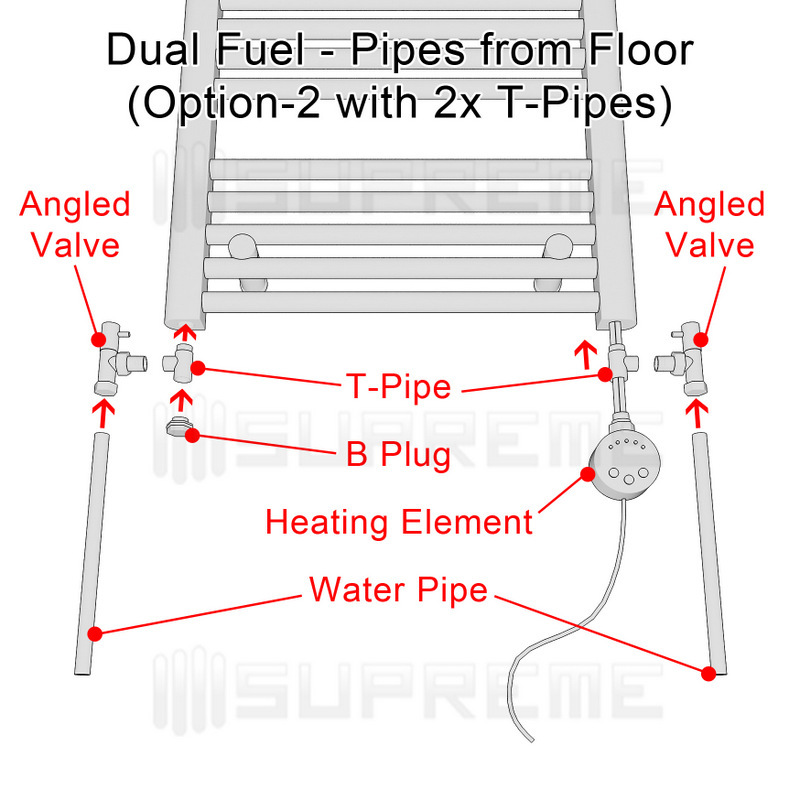 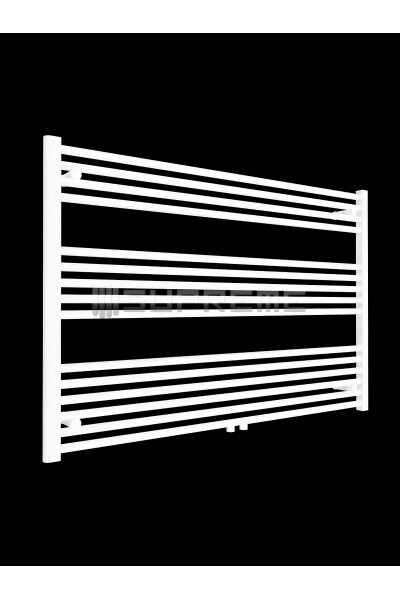 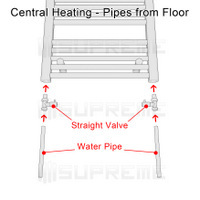 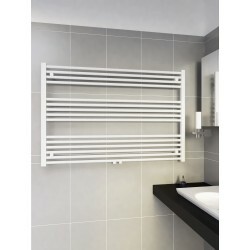 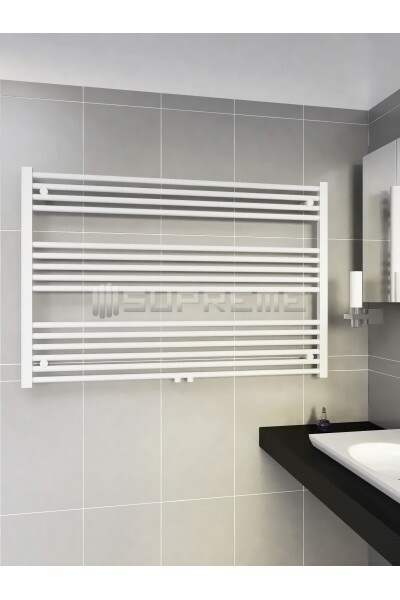 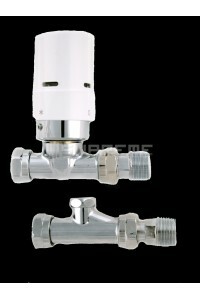 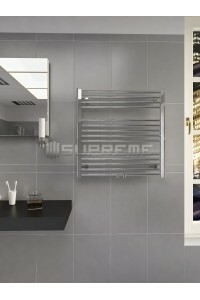 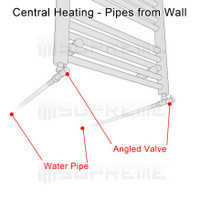 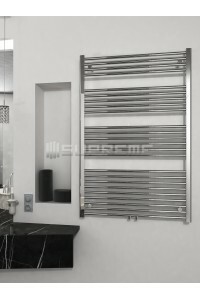 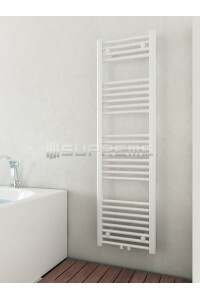 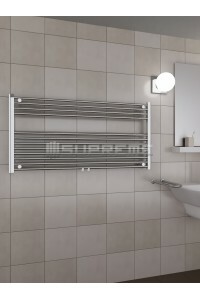 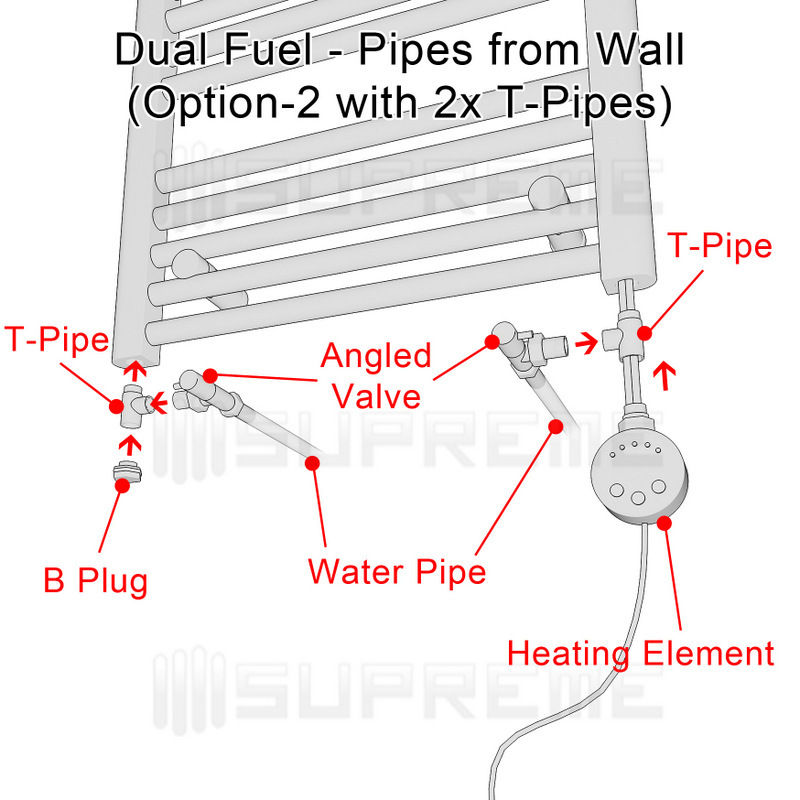 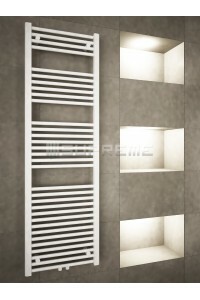 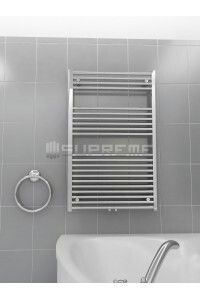 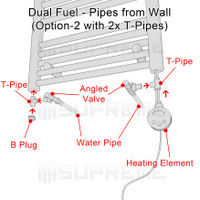 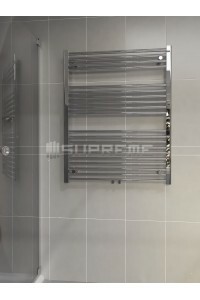 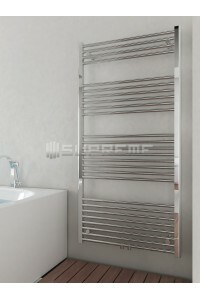 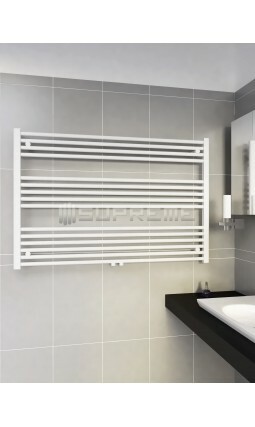 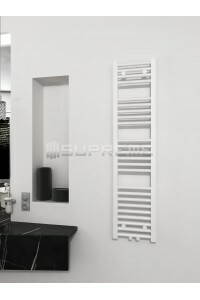 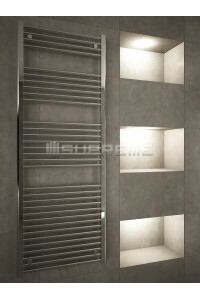 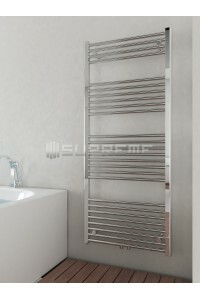 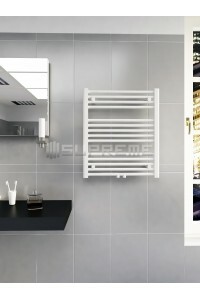 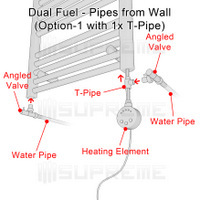 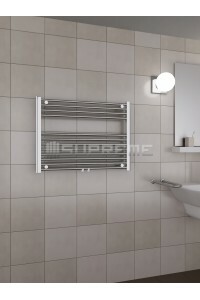 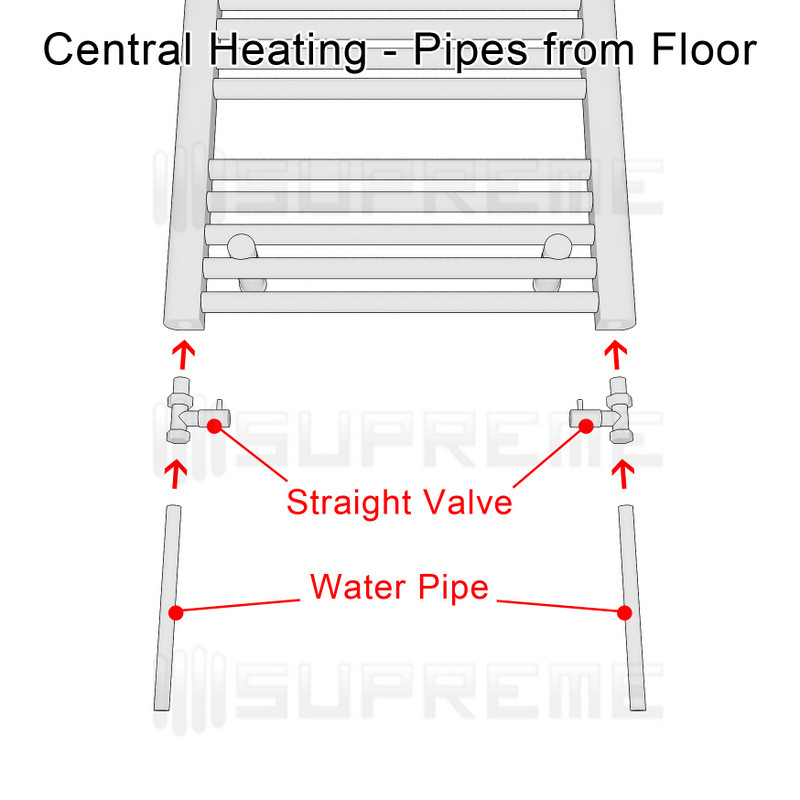 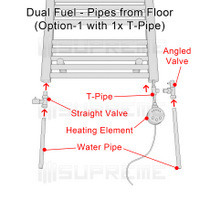 Please choose only a set of valves and a heating element from previous tabs in order to use this towel radiator as dual fuel.